Here I am, being a student again in this country that meant a lot for me. Alhamdulillah. New place, new mission, and new condition. Everything is different then. I was single. Then married to my beloved wife. And now I am now with my wife and 2 kids. And of course, with a lot of workload in research now it is strangely fun and stressful at the same time lol. I am actually on my phd at l'Institut de l'Aeronautique et de l'Espace (ISAE-SUPAERO) and as the consequence, spending more time on the fundamentals (something I was not so fan years ago!). 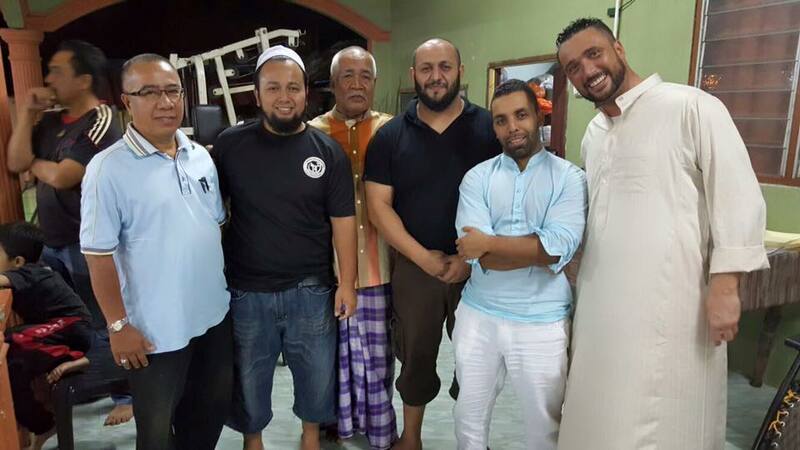 I was also visited by my Gayong brothers Hamid, Kareem, and Bruno Hamzah when I was in Malaysia. Their main destination: Cikgu Awang Daud's house! 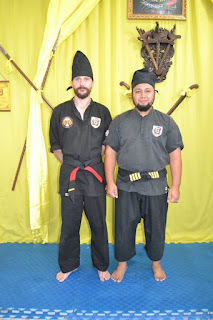 After our last achievement in Malaysia of the first Anak Gayong Perancis , Cikgu Stephane who had successfully pass his 1st Dan of Black Belt of Silat Seni Gayong, and also a great performance of our Srikandi Cikgu Mathilde Becquin of her 3rd Dan Red Belt, we are now concentrating to strengthen Gayong France especially we are now developping in south of France. 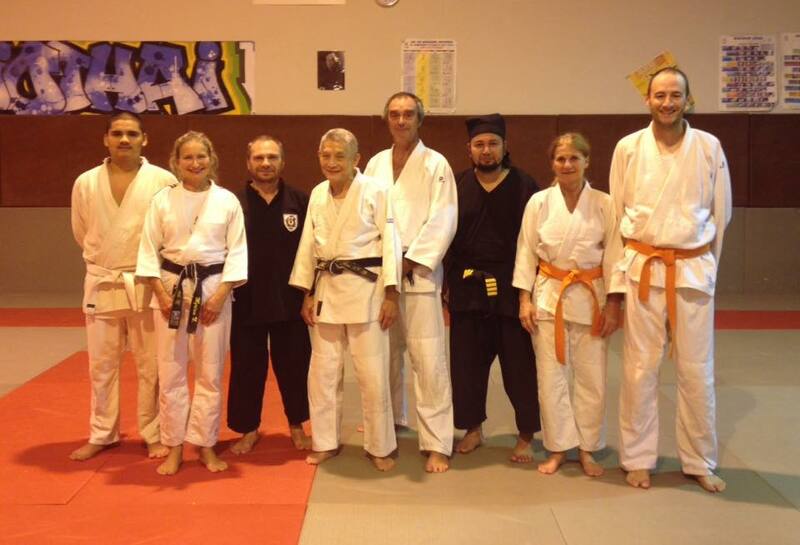 Both of Cikgu Stephane and Cikgu Mathilde are certified instructors in the North of france. David Bossu and Gullaime La Rocha who went to Malaysia for training also had successfully their Green Belt. 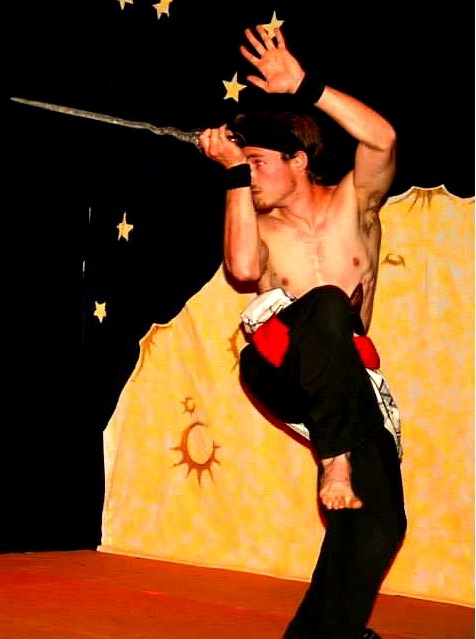 Guillaume had been spending his 6 months training in Kuala Pahang, especially at Gelanggang UMP Naga Rantau. La remise des ceintures et diplomes. Brother Guillaume after the Green Belt Grading at Cikgu Rahim "Naga Chini"'s house. 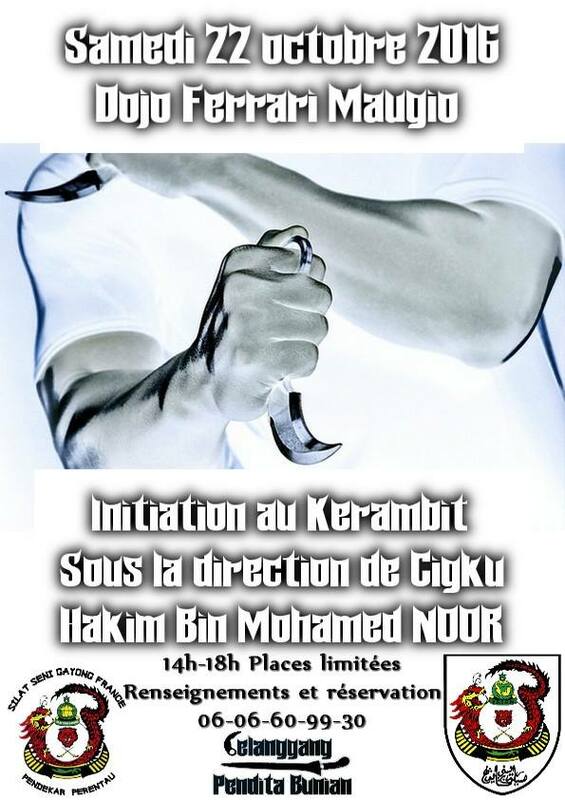 We had successfully organized the Kerambit seminar in Mauguio of Gelanggang Silat Seni Gayong "Pendita Bunian" last Octobre, and alhamdoulillah this weekend we had our first official Silat Seni Gayong class in Toulouse. Exceptionally for the first class we are having two days seminar. We are organizing more seminars in the future: Toulon, Aix en Provance, Paris, Lille etc. So keep in touch! 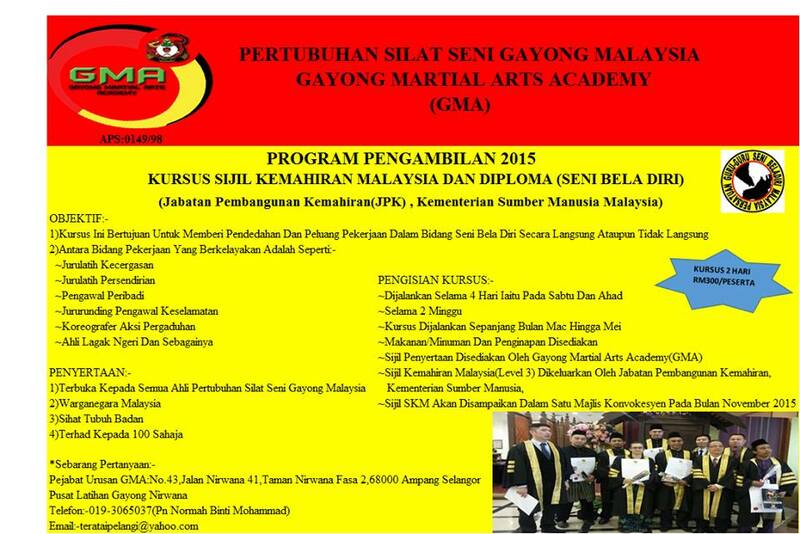 For those who are interested in learning the traditional art of Silat Seni Gayong, or just a combat-self defense class, please feel free to contact us. Any information is available on facebook, or by email. 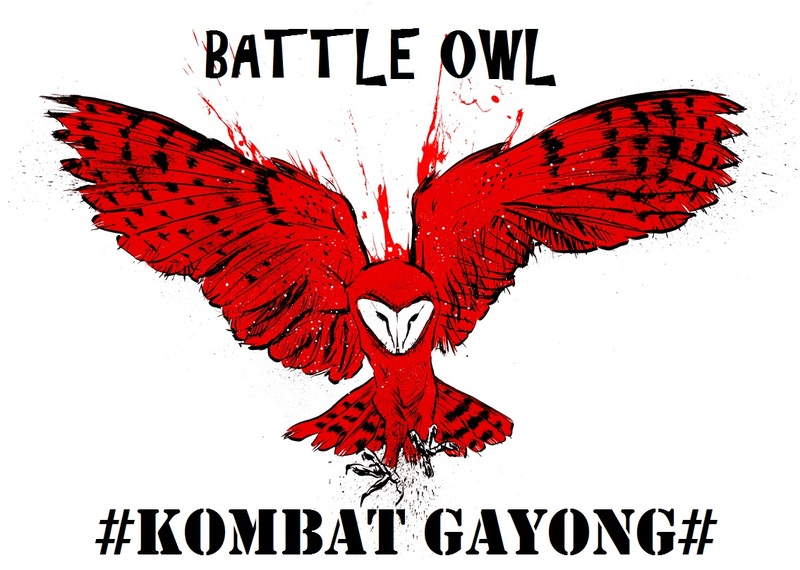 Our training @ Gelanggang Battle Owls (Toulouse), is on every Saturday afternoon at 2pm-4pm at Residence Akerys, 12 rue Jacqueline Auriol, 31400 Toulouse. For the time being we have one class per week, insyaAllah after December we will have a second class that will be performed in the university. Hopefully, the least thing we could offer is this beautiful art of Silat for those who are interested. So viewers, thanks for passing by. Hope to see you soon insyaAllah. Hebahan program anjuran Majlis Puteri Gayong (MPG), PSSGMUMP, Gelanggang Naga Rantau. Terbuka kepada pesilat wanita yang sudah perlimau seni, terutama Jurulatih dan Gurulatih. Makan Minum, Sijil Kursus dan Penginapan disediakan. 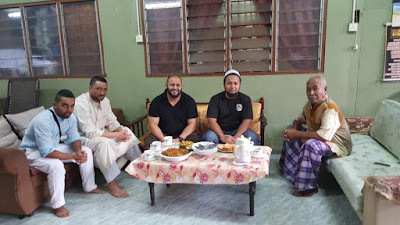 (1 Homestay untuk semua tetamu luar UMP). Kursus ini dianjur pada mulanya hanya untuk Jurulatih-Jurulatih UMP dan alumni sahaja, untuk urusan pengesahan Sijil Pembantu Gurulatih tahunan mereka. Walaubagaimanapun atas inisiatif MPG, kursus ini dibuka dalam maksud untuk silaturrahim bersama Gelanggang-Gelanggang di seluruh IPTA/ IPTS dan awam, terutama anak-anak Gayong wanita yang sudah Jurulatih atau Gurulatih. Dalam kursus ini antara silibus yang akan diperhalusi ialah Seni Pukulan Wanita sebanyak 21 Buah, iaitu permainan seperti Raja Beradu, Tembi Hentak, Timang Puteri, Seligi, dan lain-lain. 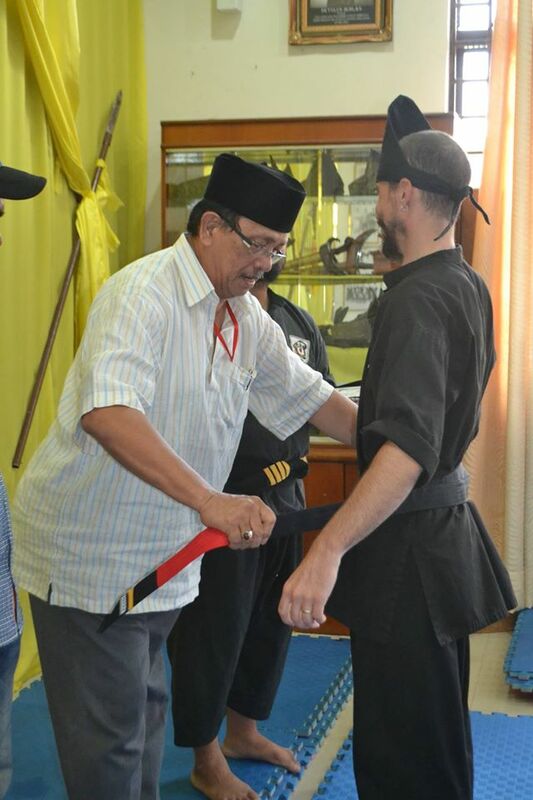 Hari seterusnya ialah pelajaran senjata yang dinisbahkan kepada wanita, terutama dalam Silat Seni Gayong. Jurus asas seperti Seni Simbat contohnya akan diaplikasikan dalam alatan persis simbat iaitu Payung, seni pukulan dan jerutan dalam Seni Cindai yang akan diaplikasikan dalam penggunaan pakaikan di atas badan pesilat dan penyerangnya. 7 senjata pilihan (digelar senjata srikandi) akan diperhalusi insyaAllah. Kaedah pengajaran dan latihan akan disusun agar ia mudah untuk dipelajari oleh kesemua peringkat bengkung insyaAllah. Kursus ini adalah tajaan Universiti Malaysia Pahang, dengan kerjasama dari PSSGMUMP dan juga PSSGM Negeri Pahang. I have shared these photos in my Facebook. Just wanna share it again in my blogspot. Dirajakan di Negeri Indera Kayangan. Petapa / Penjaga di Gunung Jerai. 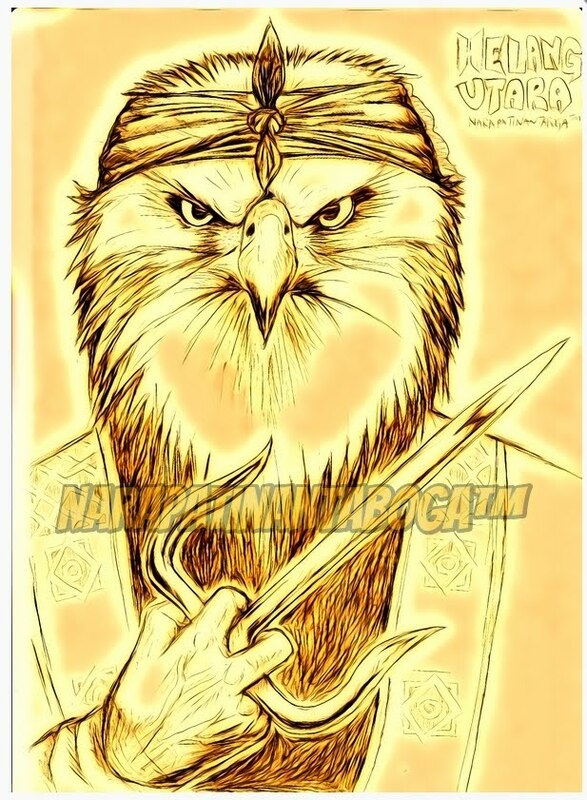 Panglima dari Empayar Mughal yang hijarah ke Tanah Melayu. Pakaian Doti Putih Sulam Emas. 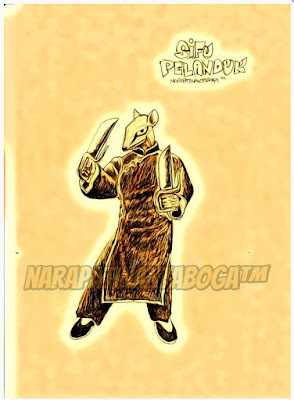 4) "Seladang Juang" from PerakPanglima katang-sado-sendo kerajaan Gangga Negara. 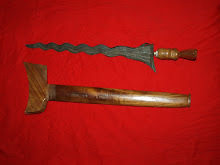 Seluar Kulit Tebal Silat Gelut/Jatuh. Digelar "Rakshasha" di Bumi Hindi. 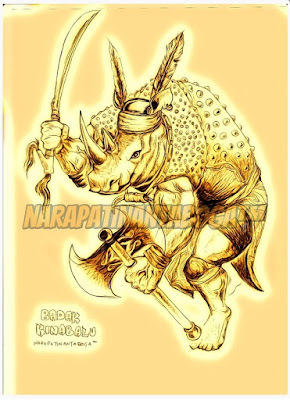 Dipanggil "Orc" di wilayah Barat. 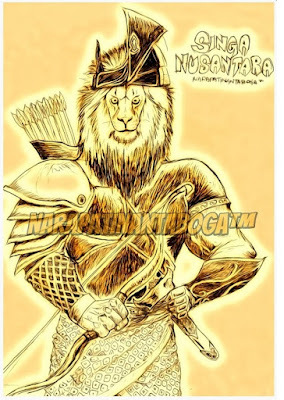 Wajah Merah Saga apabila marah. 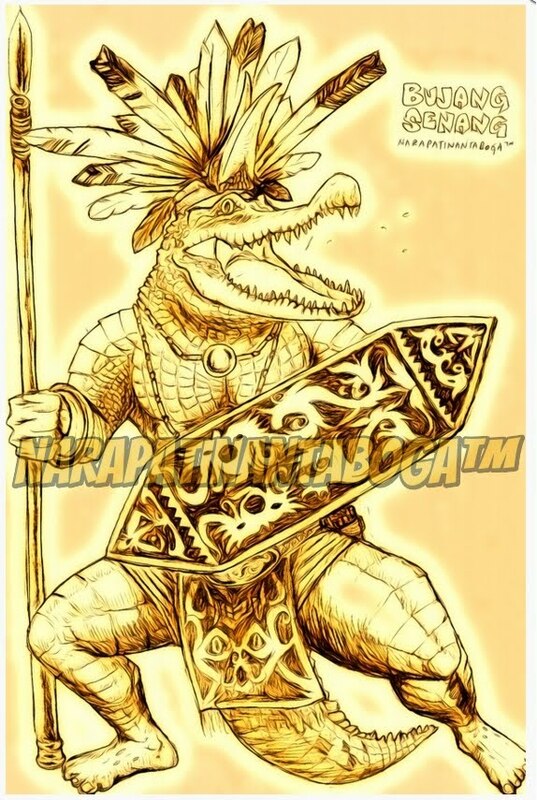 Baju Besi Buatan Nusantara Rantai Halus. 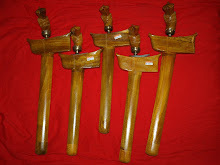 Topi Besi Buatan Turki Othmaniah. 6) "Merpati Kota" from Kuala Lumpur.Bersongkok Hitam. Baju Putih. 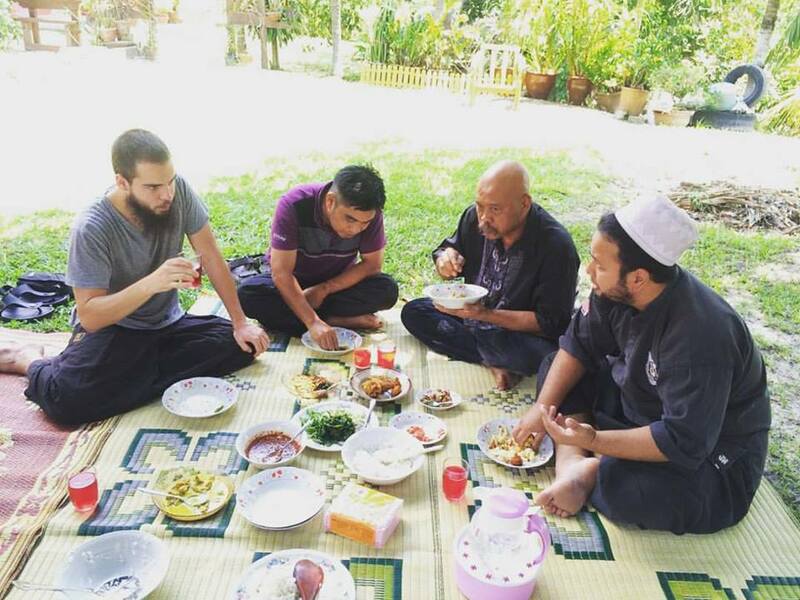 Kain Lepas atas bahu. Senjata Golok Bodoh hulu Tanduk. 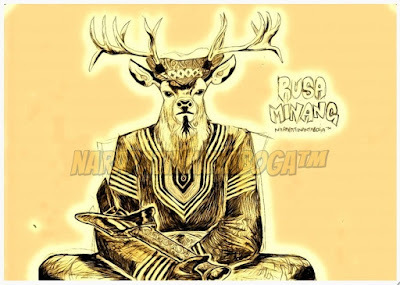 Guru Tua dari Tanah Minang. 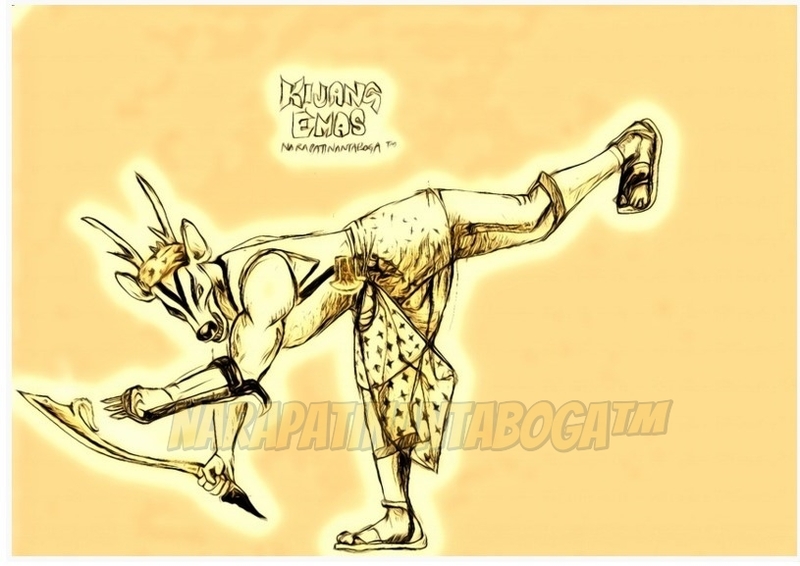 Pakaian Adat Baju Silat Minang. 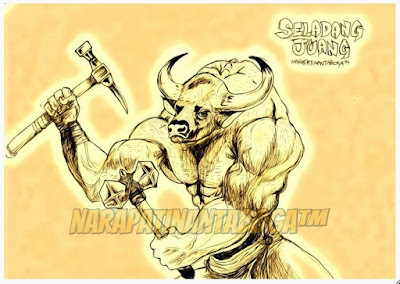 Sulam Benang Kuning Lam Alif. 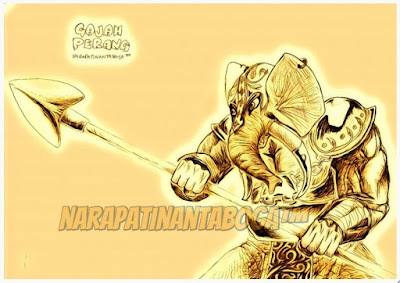 Peranakan, keturunan Panglima-panglima pengawal Laksamana Cheng Ho yang berkampung di Tanah Melayu. 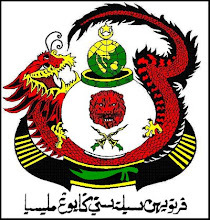 Pakaian tradisi tunik Cina tanah Selatan. 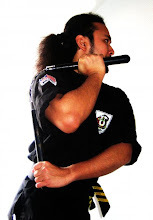 Senjata Yee Jee Seung Do a.k.a Butterfly Sword. Bekas Temenggung penjaga perairan Johor Riau. Topi "Armada Selat" - Kalung Gajah Mina. Meriam Ringan Rentaka yang diletak di atas bahu apabila menyerang musuh. Bom tangan tanah liat berisi bijih besi. 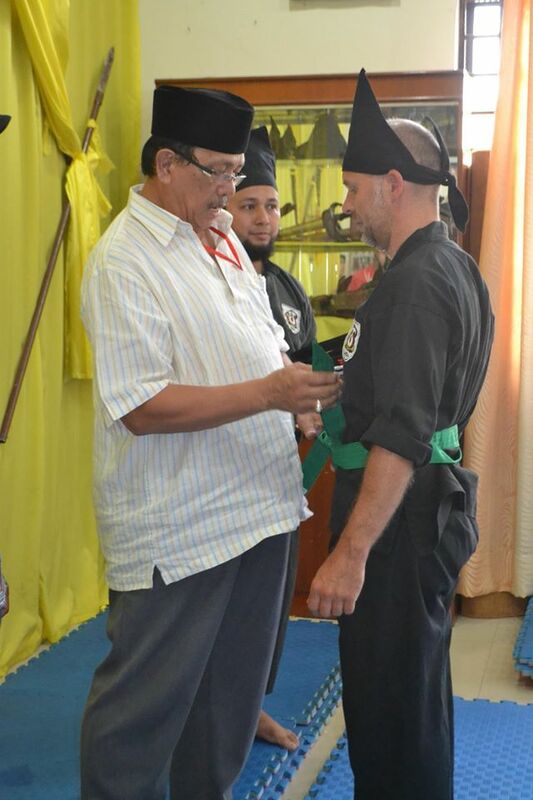 Baju Besi Ukiran Melayu abjad Nun. Senjata Tombak Mata Daun Kopi. 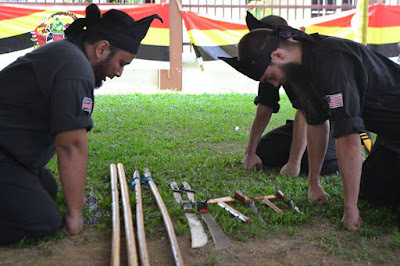 Baju Silat Merah stripe Hitam. Senjata Klewang Jambul, Ibu Tekpi dan Kapak Binjai. Bapanya Panglima kesayangan Puteri Saadong, Pemerintah dan Raja Perempuan Negeri Tanah Serendah Sekebun Bunga. 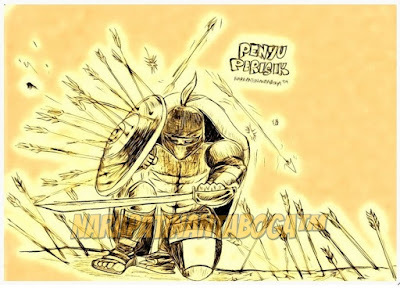 Armor Kulit Tebal Mata Besi. 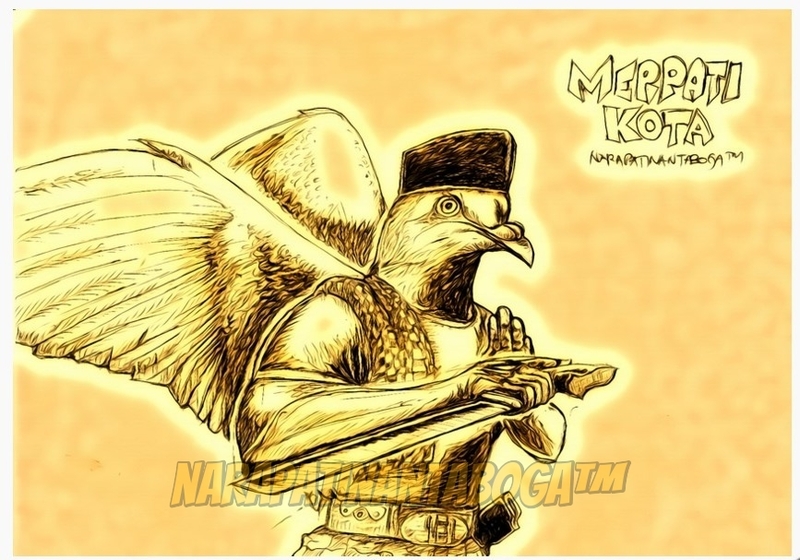 Ikat kepala Merah, Bulu Burung. Seni Silat and Seni Beladiri have existed in Malaysia since the very beginning of the first settlers. It starts due to the harsh condition of life, with regular confrontation of the wild animals, pirates, villains, and many factors. 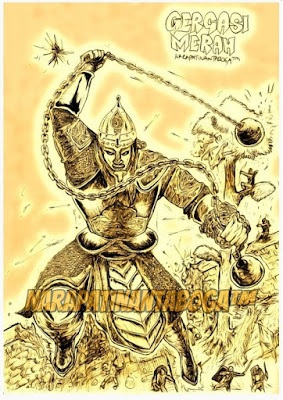 Eventhough the Malay people had the great empires and civilization , such as Chermin, Grahi, Patanni Besar, Kelantan Besar, Langkasuka, Gangga Nagara, Malacca, Srivijaya, Majapahit or many others, but it doesn't protect the people from fighting each others in the wars. 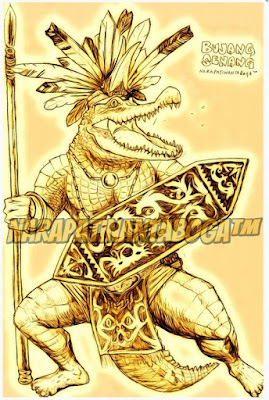 With one of the region in the world that has the most ethnicity of different language, dialect, culture, tradition, and belief, the confrontation among the people is unavoidable. 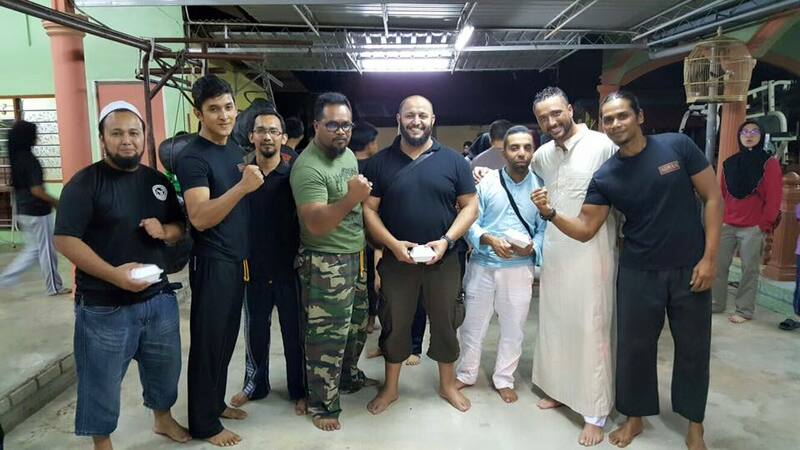 I am not sure whether nowadays in Malaysia, there is MORE Malay who practice Silat or MORE who is not. But the peaceful and stable social-economical makes more Malaysian have times and capabilities to learn and practice the martial art, especially the Seni Silat. 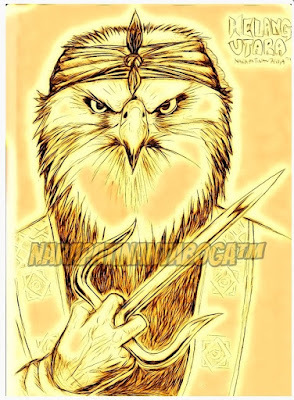 Due to the continuing effort of the Warriors, the Pendekars, the Panglimas and Srikandis, the Mahagurus and Guru Utamas, that fully sacrifice to serve the nation in keeping the tradition, with a little help from the nation medias, the trends is going up. In Malaysia, more and more association and federation, born to keep this tradition. 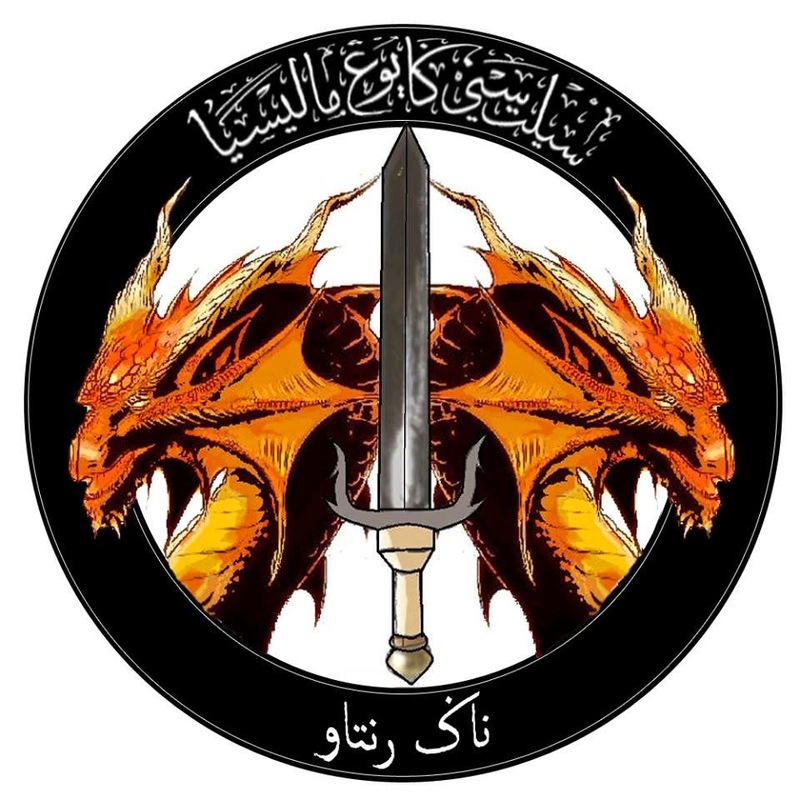 PESAKA, DSSM, HIKMAH, SRIKANDI, MPM, PEWARIS, etc. 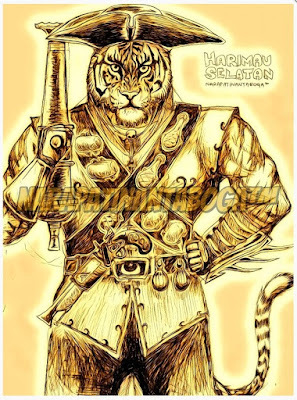 are among the movers that creates new energy for the survival of Melayu nation. 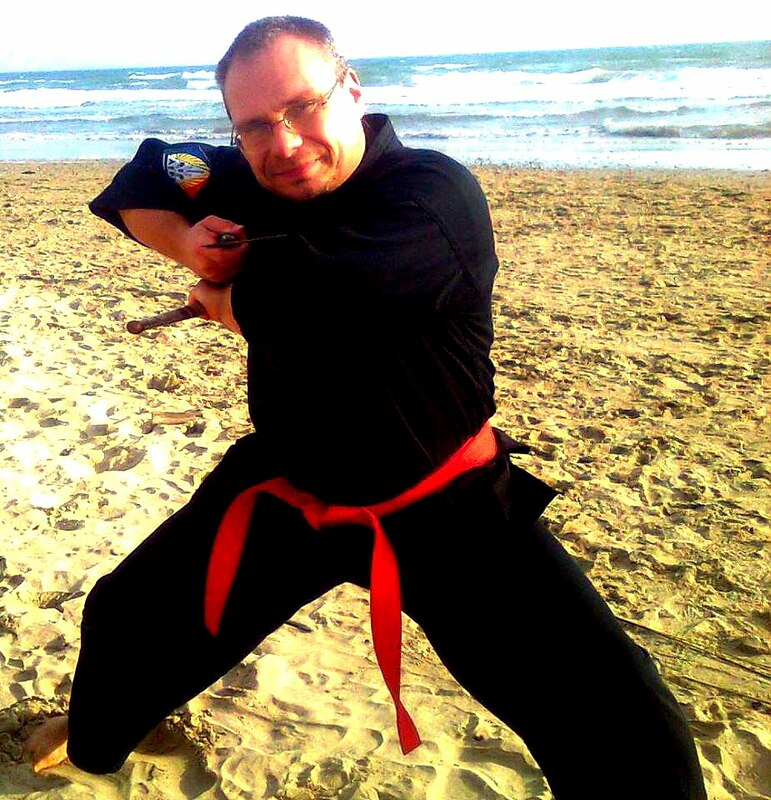 One of important players is MAGMA, stands for Malaysian Martial Art Grandmasters Association.It regroups all of the Grandmasters and masters of different background in one platform. 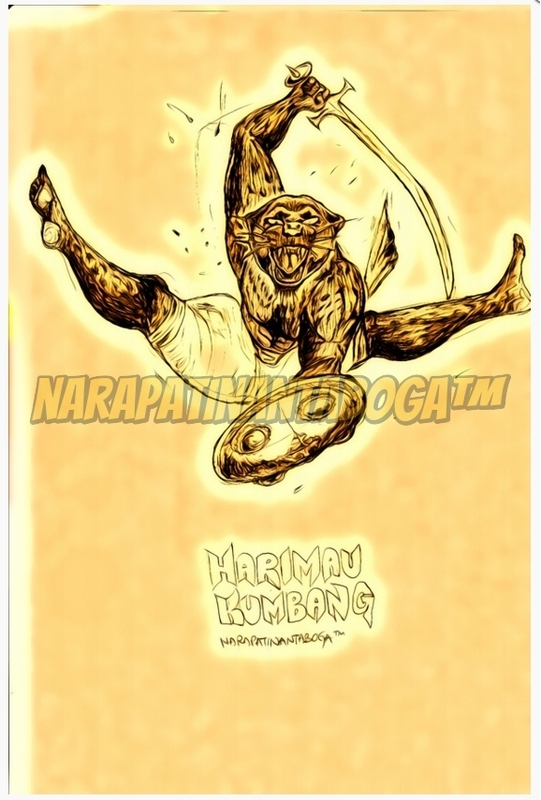 One of the effort that MAGMA do since the beginning is to push the Malaysian Government to recognize the martial art grandmasters, especially those old master who is almost forgotten eventhough he was once a warrior for the country independence. For the first time ever, the Malaysian Government had recognize the martial art practitioner in Malaysia by delivering the Sijil Kemahiran Malaysia (Malaysia Skill Certificate) of level 1 to 3 under the title of "Martial Art Co-ordination". Adding to the values, those who are eligible , could take the examination for the DKM (Malaysia Skill Diploma) of level 4 and 5. 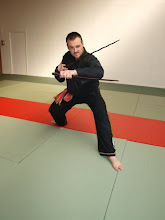 This is not a certificate which is delivered by the association or individual, but an official certificate delivered by the Government body that is useful for the martial art practitioner to apply for job in the domain. 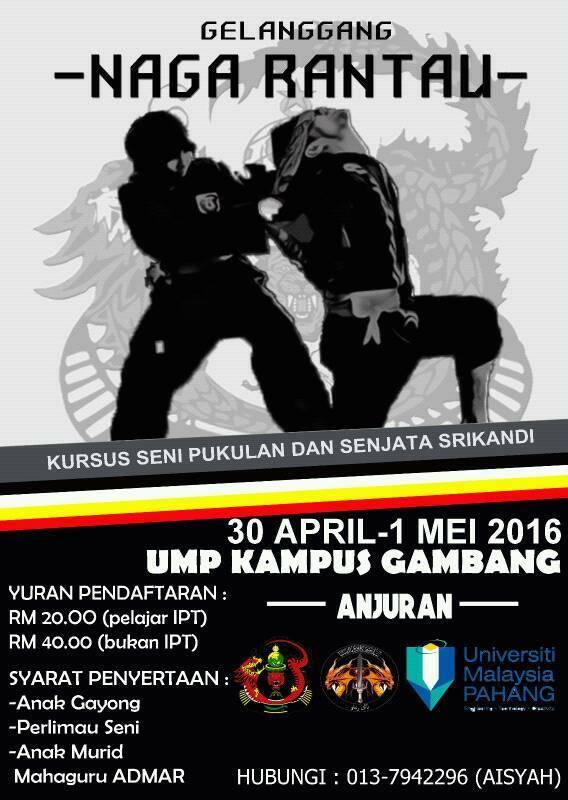 The best thing is that the UniSHAHPUTRA, one of the popular private university in Malaysia has grabbed this chance to offer the course in their university. 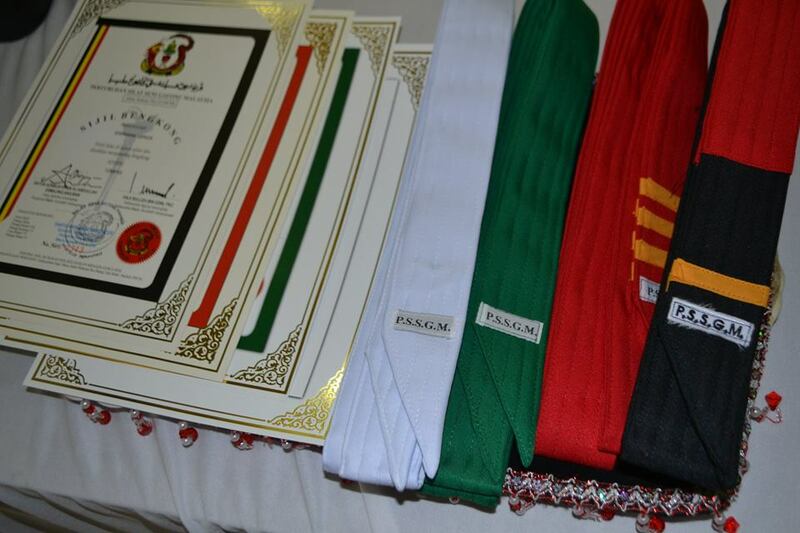 3 years course for a Diploma in Martial Art. The truth is that we need to have the demand of the course from the market to make this successful. That's why every sectors, public or private must help to boost the demand of this course. The MOU had been signed between SHAHPUTRA under it's founder Dato' Dr. Haji Azman Abd Ghanie, and co-founder Datin Hajjah Suzieyati Haji Adham, with the founder of MAGMA, Grandmaster Azlan Abd Ghanie whois also the owner of SENIBELADIRI magazine and Guru Utama of Silat Melayu Lok 9. This meaningful event was witnessed by the Malaysia Deputy Minister of Human Resource himself YB Dato' Seri Haji Ismail Abd Mutallib, and all of the Martial Arts Grandmasters and practitioners especially from Pahang. 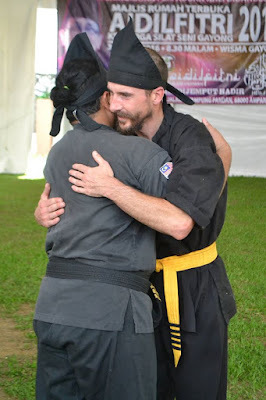 Our ceremony was cherished by the demonstration by many Silat groups, and also my small group of PSSGM Universiti Malaysia Pahang. It was an event that I want to part of as it marks a new era for the Martial Art world in our country. 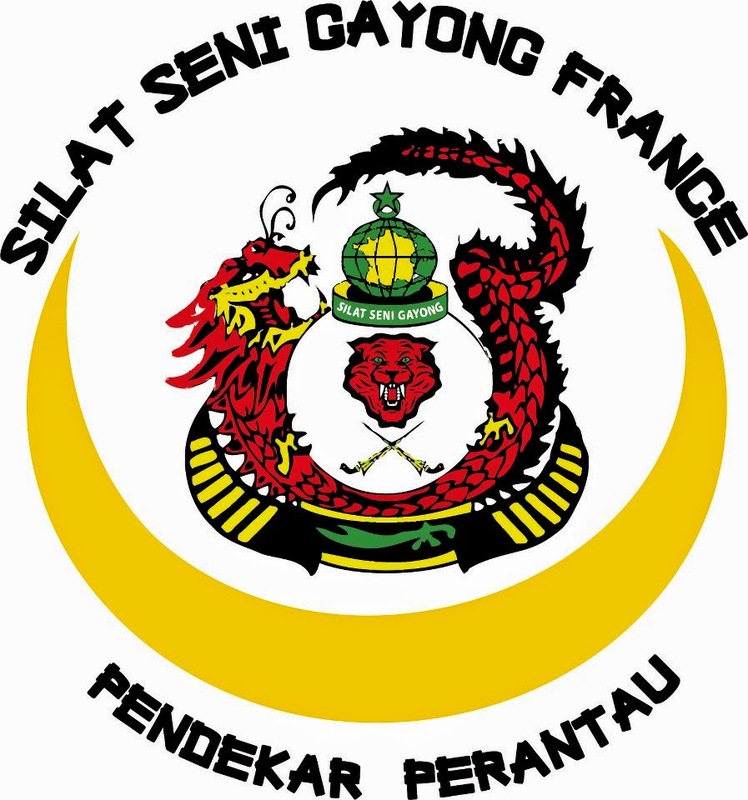 Selamat Datang, Ahlan Wa Sahlan, Bonjour, Welcome and Merhaba! Learning Silat Seni Gayong from Masters and Senior Gurulatihs all around Malaysia, I am welcoming you to this modest blog of Narapatinantaboga™, as another humble effort of introducing this Malay martial art to the public from me as the Chief Gurulatih (Directeur Technique) of Association Francaise Silat Seni Gayong (A.F.S.S.G), FRANCE. 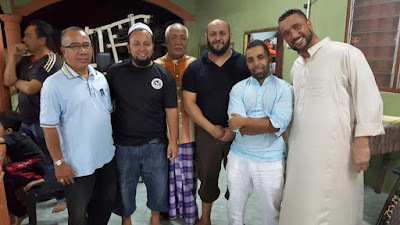 It is important for all Anak Gayong all over the world to be well informed about what's happening inside the country and knowing the Gayong Masters who used to be the loyal disciples of the late Mahaguru Dato' Meor Abdul Rahman Bin Daeng Uda Mat Hashim. 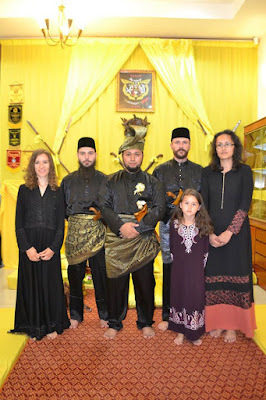 He was the grandson of Syed Zainal Abidin Al-Attas and the great grandson of Tengku Daeng Kuning (Panglima Hitam) from royal lineage of Bugis King Daeng Merewah. 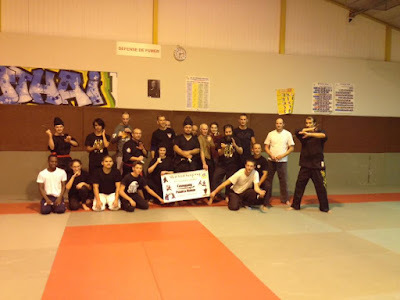 I start teaching Silat Seni Gayong in France since 2003 and our official Gelanggang was opened in 2005 until now after having the Ijazah (permission) of opening this school in France and Ireland. I am recently a lecturer at Faculty of Manufacturing Engineering, Universiti Malaysia Pahang (UMP), PEKAN, PAHANG and teach Silat Seni Gayong to UMP students since 2011 under the name of Gelanggang Naga Rantau. for more information concerning our activities. 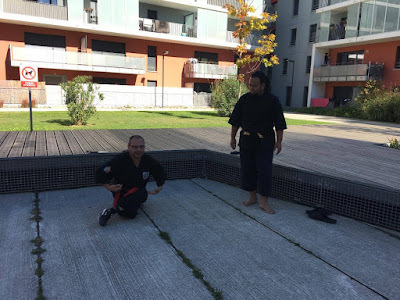 This blog is dedicated to the Silat Seni Gayong issues, my experience and encounters with Gayong, other Pencak Silat and Martial Arts Masters, and also my personal life, friends, hobbies, and travel. 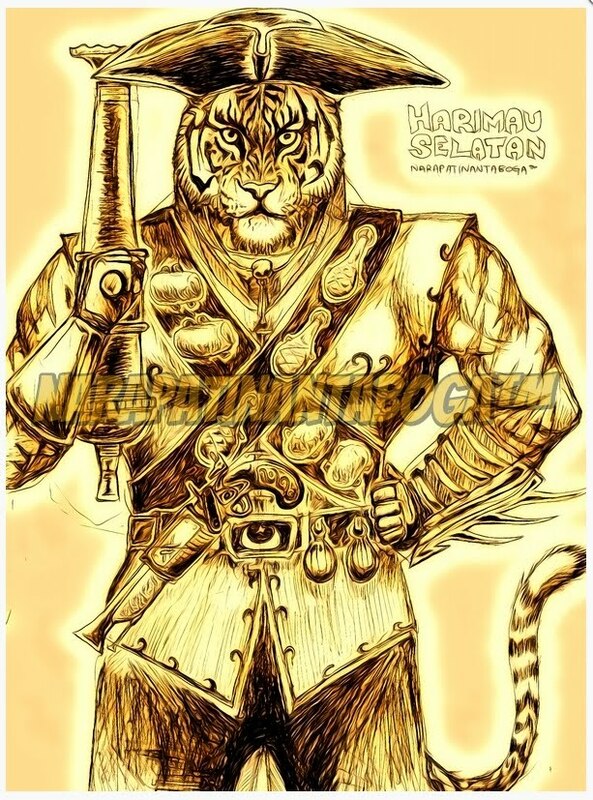 I am also once the disciple and member of few Seni Silat like Lintau, Helang Putih, Cekak, Silat Jatuh , 7 Permainan Ayah Ku (Malaysia) and Pencak Silat like Tapak Naga, Cimande, Harimau, Prana Sakti (Indonesia) and also the other martial art like Muay Thai, Karate Okinawa, Savate, Tae Kwon Do, Jujitsu, Kapap, Aikido and Capoeira. 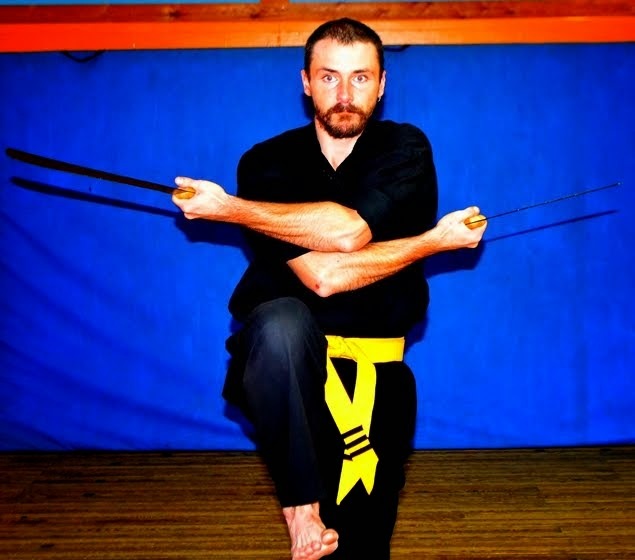 I am still learning and always looking for a new martial art fraternity for the love of God. 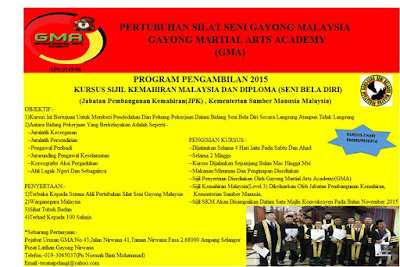 Diploma in Martial Art (Seni Beladiri) , NOSS (National Occupational Skill Standard) , Department of Skills Development, The Ministry of Human Resource, MALAYSIA. French Baccalaureat (Equivalent S) IUT de Colmar, FRANCE. American Degree Foundation Program, Batch JPA: ATU 7 at INTEC, UiTM Shah Alam Sec. 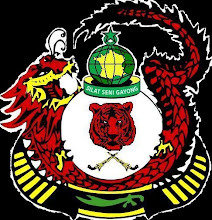 17, SELANGOR. SPM 2000 at Sekolah Menengah Kebangsaan Kamil, Pasir Puteh, KELANTAN. Siapakah Dia Yang Cabul Mulutnya??? AKHIR NYA TERLAKSANA WALAUPUN BANYAK HATI HITAM BERKATA.